Fighting crime is a full-time job and Batman NEVER takes a vacation. That is until he finally agrees to let Batgirl and Nightwing take him on a long overdue trip – leaving Gotham City under the watchful eye of the Justice League in LEGO® DC Comics Super Heroes - Justice League: Gotham City Breakout. 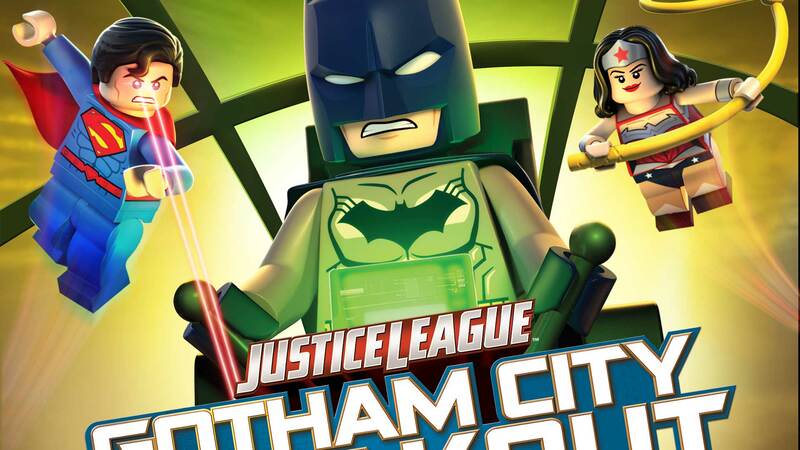 LEGO DC Comics Super Heroes - Justice League: Gotham City Breakout - "Just Like Batman and Robin"
Looks like keeping Gotham safe ISN'T a job for Superman in this exclusive clip from the newest LEGO DC Comics Super Heroes movie, Justice League: Gotham City Breakout. Justice League: Gotham City Breakout is now available on Blu-Ray Combo Pack, DVD and Digital HD. LEGO DC Comics Super Heroes - Justice League: Gotham City Breakout - "Vacation"
This Bat needs a break! At least that's what Batgirl and Nightwing have decided in this exclusive new clip from the latest LEGO DC Comics Super Heroes movie, Justice League: Gotham City Breakout.